Limited to beta customers willing to help test/verify the transition. Stream product group validates a customer is ready and eligible to move and then runs the scripts manually on the backend for the customer. Limited to customers in specific regions who are not using the Office 365 Video REST APIs, Office 365 integrations (Delve, SharePoint Home, SharePoint mobile, Enterprise Search), and are comfortable with other differences between Office 365 Video and Stream. See more details about the migration experience for this phase. Applies to all customers in all regions. If the tenant admin doesn’t opt out of the transition their tenant will be transitioned over to Stream during this phase. 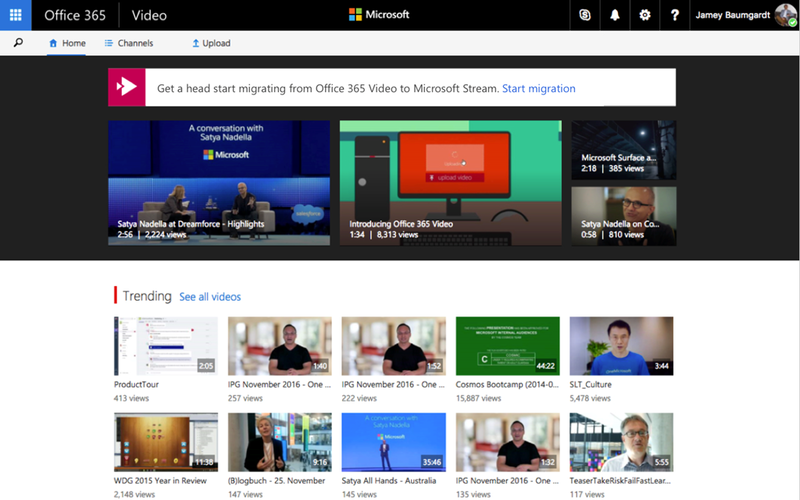 All remaining Office 365 Video customers will be automatically transitioned over to Stream.